A 12 volt remote control searlight with 320° rotation and 75° vertical sweep that can be controlled from eight-way directional switch panel that can be installed near the helm for ease of use. 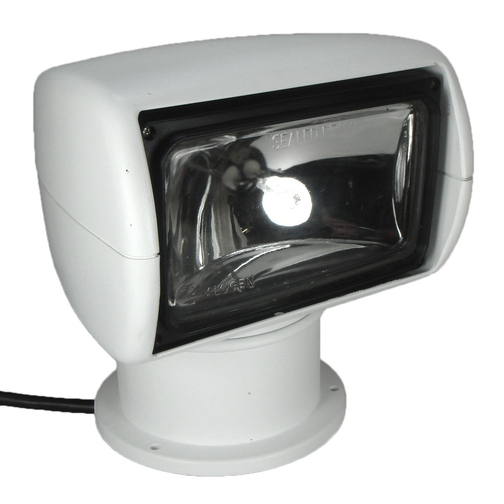 The Jabsco 12 volt remote control searchlight is a tough, weatherproof and corrosion resistant, sealed-beam halogen lamp that is capable of rotating 320° horizontally and 75° vertically all from an eight-way directional control that can be installed near the helm in the cockpit for use whilst cruising in the dark. 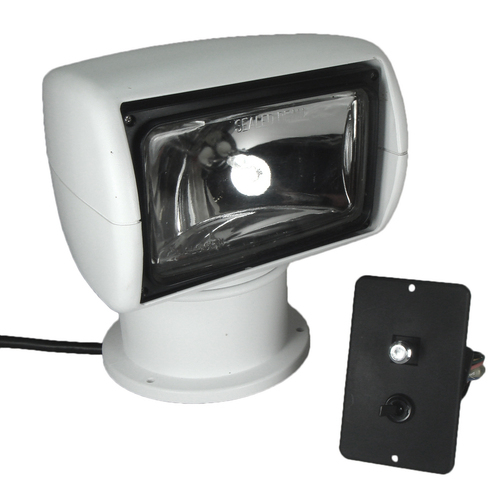 The marine remote control searchlight can be installed practically anywhere onboard (it can be useful on camper vans or lorries too) with its foam padded base, single control wire design and three fixing holes. The colour coded wires (approx. 4.5m length) also help with installing the remote control panel on to a dashboard or helm which itself offers an on / off switch and an eight-way directional controller for more accurate searchlight use.